By partnering with PCS you’ll have access to a full suite of technology tools to make trading, planning and day-to-day business much easier. We’ve assembled a selection of operations and technology partners that will allow you to create the best solution to enhance your sales and operations. We’ll help you select and customize the right tools for your unique needs. NetX360 is an award-winning solution for Financial Advisors that provides the tools needed to manage their business, increase efficiencies, track clients and their accounts, and execute trades. Built for productivity, Morningstar® Advisor Workstation supports Advisors with the latest Morningstar investment data, tools, and reports to serve existing clients and generate new business. Seamless integration with PCS’ systems automatically brings in current client and account data for the clearest view of your book of business. Finance Logix® combines the latest technologies with easy-to-use financial planning software to help Financial Advisors grow their business and enhance the services they provide to their clients. Using this software allows the Advisor to spend less time constructing plans and more time implementing them. Albridge’s Wealth Reporting’s portfolio accounting and reporting functionality delivers an accurate singular view to all of your client’s assets. With this comprehensive view, you can deliver an unparalleled level of service, while having a proven tool to gather more assets. 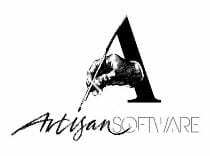 Meastro/Repertoire by Artisan Software is the Financial Advisor’s answer to tracking revenue. It easily shows the Advisor which clients are the most productive along with tracking commissions for a given period. Montoya Marketing’s standard package, which allows Advisors to submit, track and archive marketing materials, is included in our standard technology package. Marketing Pro, which includes a library of pre-approved marketing material, is also available as an option. Advisor’s Assistant is a practical solution to maintaining client and prospect records. It allows you to make a record of conversations, attach records to a client’s file, and download client data into other applications. Quik! Forms Library gives Advisors the ability to easily prefill forms and applications with client data from more than 30 different data sources, including Advisor’s Assistant. Number Cruncher is a financial planning tool/calculator that can provide answers to any number of financial scenarios, such as mortgage payments, lease versus buy, estate tax calculations, and more. Global Relay is the Message Archiving Vendor in FINRA’s Compliance Resource Provider Program. Global Relay was chosen as a FINRA compliance resource provider and assists Financial Advisors and Broker/Dealers in meeting the organization’s electronic communication review and archival requirements. QUODD Equity is a comprehensive workstation that brings together real-time quotes, dynamic market monitors and analytical charting tools. It does so with premium news, fundamental data, research, earnings estimates, filings and major market events. The program can be accessed from any PC anywhere, anytime. Meridian IQ is a PCS subsidized resource, available to associates desiring to expand their business by adding additional Registered Representatives and receiving compensation on their business. This can be structured in multiple ways to compensate the PCS Associate and attract individuals or groups to the PCS platform, with the recruiting PCS Associate having direct or indirect involvement and control. Copytalk is a mobile dictation and transcription service, which allows PCS Associates to create notes, drafts of letters and e­ mails. It is a simple solution and efficient way to increase productivity for busy financial service professionals.